One lucky winner and a guest will get an overnight trip to Baker House in East Hampton, New York! 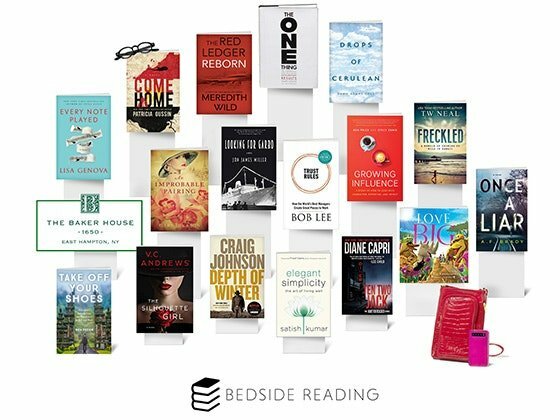 Plus you will also win a bundle of great books and a Madison & Mulholland Cell Phone Bag from Bedside Reading. A Getaway for 2 in Bloomington, Minnesota valued at $519.96 could be yours. What Renaissance Minneapolis Bloomington Hotel feature are you most excited to experience? Win an all inclusive vacation with the cruise line of your choice! Enter now to win 7-day cruise awarded as $2,000.00 gift card to Carnival Cruise Line, Norwegian Cruise Line, or Royal Caribbean International. Score a $3,400.00 Trip for 2 to your choice of LEGOLAND Resort in California or Florida from Welch's Fruit SnEnjoy more than 50 themed LEGO attractions, with kid-friendly rides and shows, and sacks including airfare, resort stay, and park tickets.